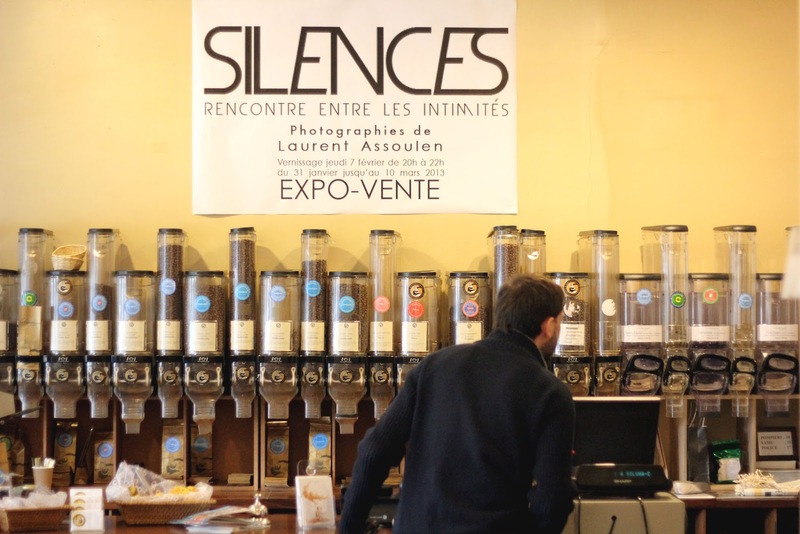 To end my current series of Paris dining scene, I thought it's only appropriate to end with a post about coffee. Generally speaking, most coffee served in Paris are considered by many as dire but I have found most to be rather decent when compared to a lot of the coffee chain available in London. I am saying this mostly because I tends to ask for espresso rather that the cafe creme which is normally laden with UHT long-life cream which repulses most coffee drinkers. 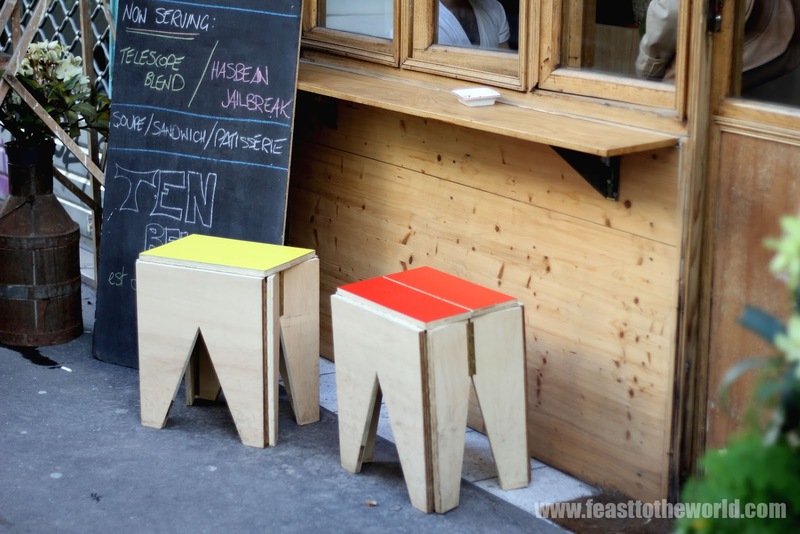 But to be fair, this is not what the typical Parisian café culture is about. 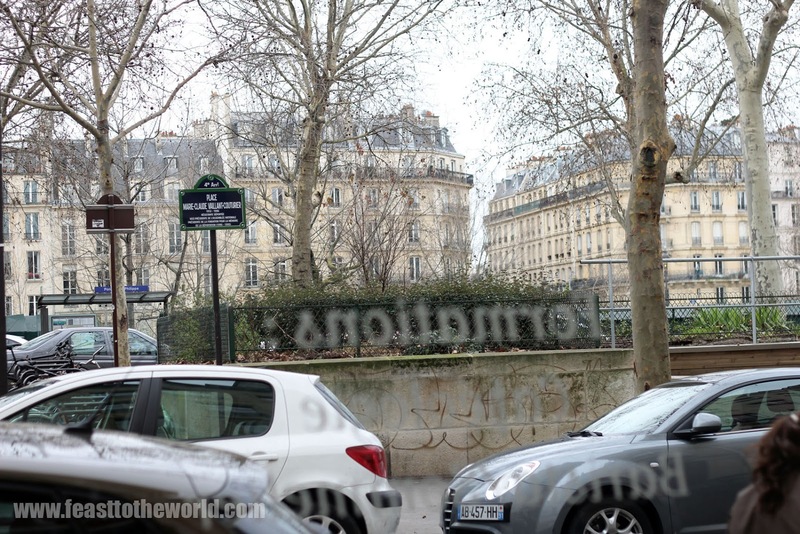 When you talk about having a coffee in Paris, you immediately envisage a terrace seating on a buzzing pavement, abrupt waiters, cigarette smokes that fill the passing air and people watching. 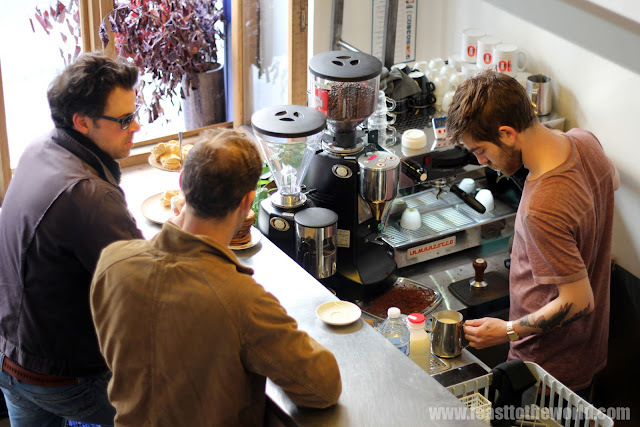 However, for a touch of the familiar excellent strong roasted flavours that I normally get in London, there's only a handful of places that I've found which caters to my caffeine palette. 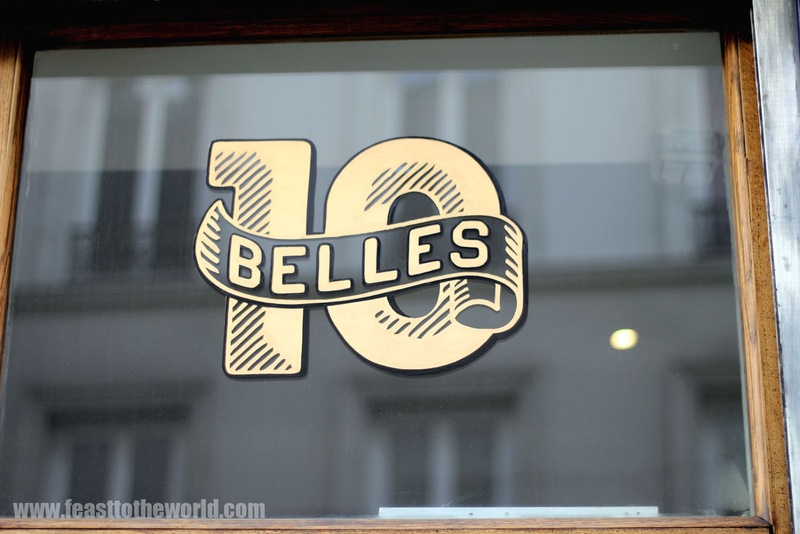 The first is Ten Belles which opened only less than a year ago. With modernist facade and minimalist interior, this tiny little venue, situated just off the canal Saint-Martin exudes a sense of nonchalant atmosphere and won't look out of place in the heart of ubercool shoreditch or trendy soho. You can perch yourself on one of the designer foldable stools and sip an excellent cup of coffee made with Has Bean coffee beans. A narrow staircase through the back of the café will lead you up to the mezzanine or if the weather is good, grab a seat outside, relax and watching the worlds go by or just generally soaking in this cool, bohemian atmosphere. Not content with serving just great coffee, they also have an arrays of delicious cakes and patisserie displayed at the counter to tempt the coffee drinkers. 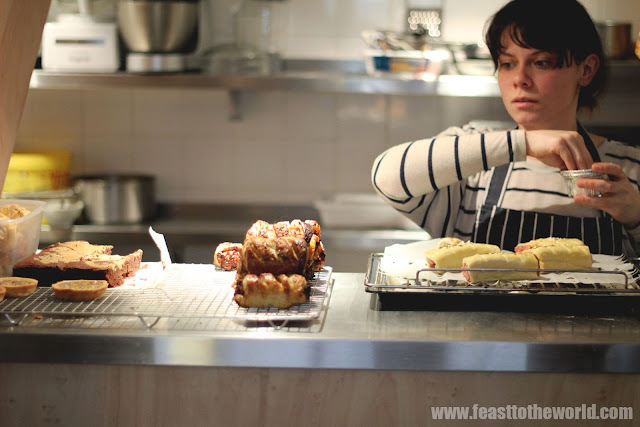 Freshly made sandwiches and sometimes even sausage rolls are available from the kitchen, all prepared by a chef who used to work in St John's. 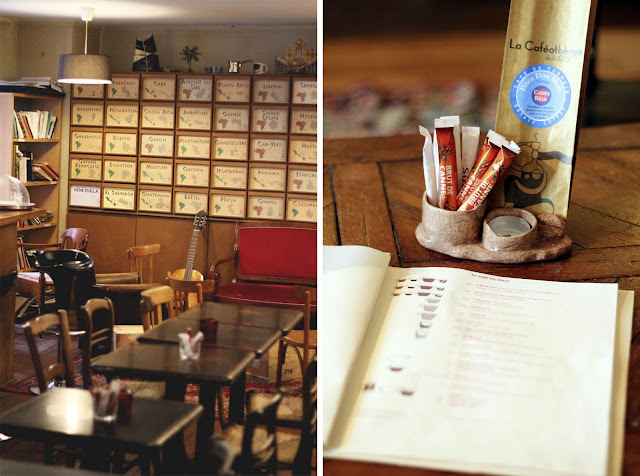 Another great coffee hot spot for me is the well established La Caféothèque. 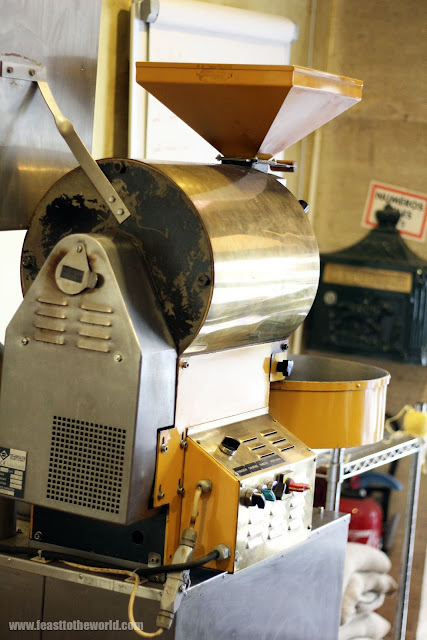 What I love is the aroma of freshly roasted coffee from their in-house roaster that greet you as you walk though the door. This is one of the few rare cafe which roast their own coffee beans here in Paris, which is not a common sight. This cafe also has the advantage of being quite central, located on the north side of Seine along Rue de l'Hôtel de ville. Here you'll find a wide selection of coffee beans varies from different origins, Peru, Ethiopia etc. 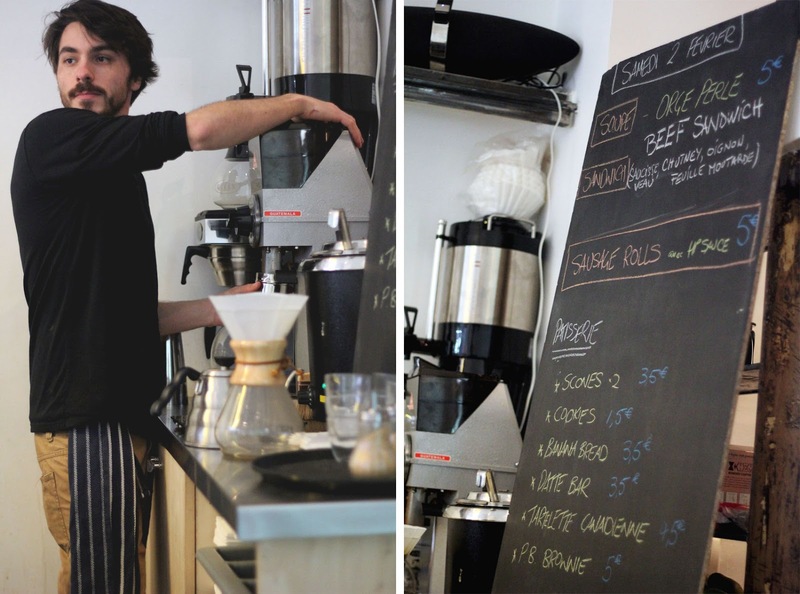 Come here for you own special blend of coffee to take with you, freshly roasted in-house and prepared by folks who are passionate about coffee. Unlike the trendy feel of Ten Belles, this is more rustic and chill. It is divided into different rooms, each with a very different feel. For the best experience, find yourself a spot by the main open room and rest your weary feet on the sofa, kick back with a book or gaze out of the wide window onto the street life of Paris. 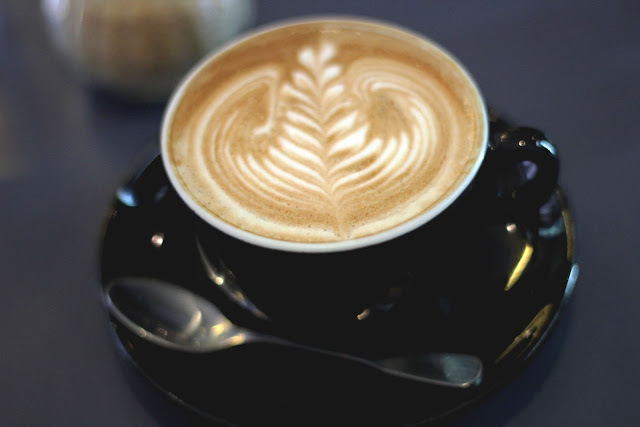 Go for classic like a noisette (short black coffee with a small amount of milk froth) and avoid anything too milky like latte, if you do, remember to ask for a double shots of espresso for a stronger taste. There are also a selections of fresh cakes and patisserie available if you craves for a little something sweet to go with your brew. 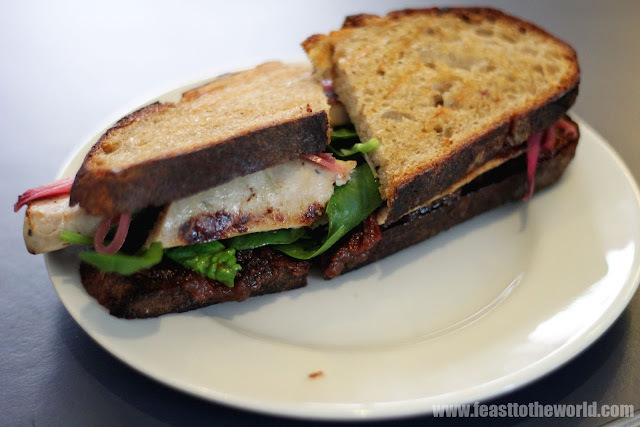 There are a few more good cafe like these that I have discovered during my travel. 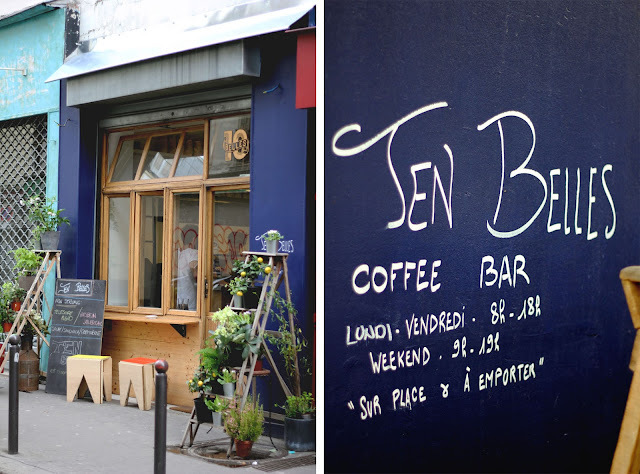 Like Coutume Café in the 7th arrondissement and Café Télescope in 1st arrondissement who also happens to provide Ten Belles with their house blend. I hope to discover more in my future visits and I will share these in my future Paris post. As I've started this Paris series with a view of the romantic Eiffel tower, I shall end this with an equally romantic Pont de l'Archevêché, a.k.a. 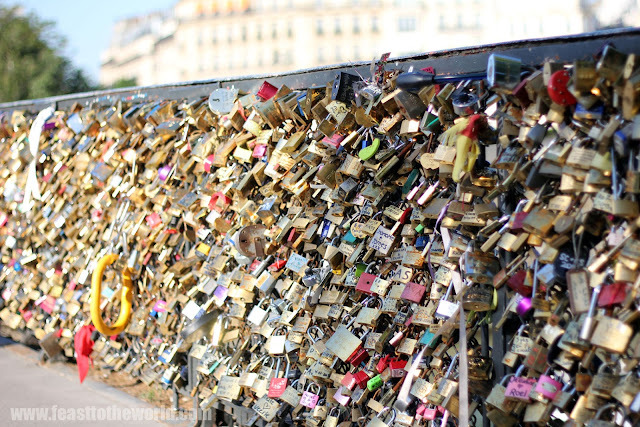 the love-lock bridge. For years, lovers have been declaring their undying love by attaching pairs of padlocks inscribed with their names on this bridge that link Notre-Dame Cathedral to the Left Bank of the Seine. For now, au revoir Paris, till we meet again. I too share your opinion that the majority of coffee in Paris is nowhere near as bad as some make out. I liked your write-up of 10 Belles, which very much chimes with my thoughts about it. 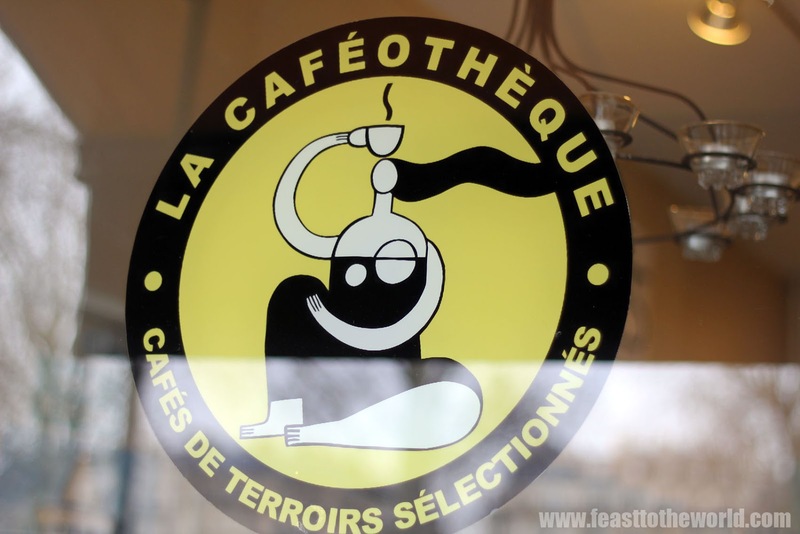 Sadly I never made it to La Caféothèque, but I really like the sound of it!